In Berlin has been opened, an exhibition of photos dedicated to the world-famous photo model, Kate Moss. 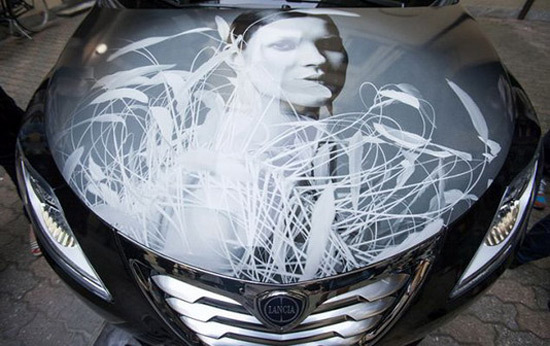 Lancia for this occasion presented Ypsilon model painted with her photographs. At the exhibition, the audience can see thirty pictures of Kate Moss, a woman who was revolutionized the aesthetic standards and style of the nineties. 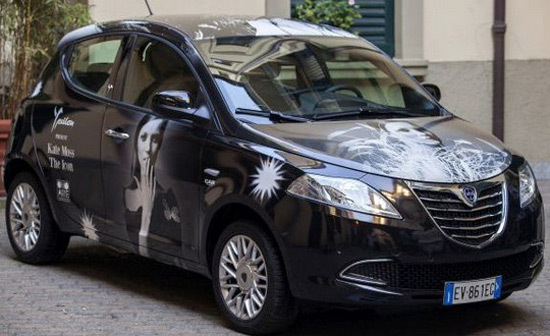 Since the Lancia automobile brand is often associated with style and fashion, and Lancia Ypsilon is one of the most popular cars among the female population, it is logical that the Lancia Ypsilon has appeared on such shows. This unique car will be on display in front of the gallery, and will it go for sale after the show, we can only speculate.